Long legs or no legs? Three eyes or the more traditional two? Hot pink skin? Horns? Briefcase? The possibilities are endless and, unlike in actual reality, you’re not limited by the cost of plastic surgery or briefcases. This week we’re challenging you to create a VR Chat avatar. We’ve been struck by the popularity of VR Chat avatars lately and thought it would be fun to plan a challenge around them. Your avatar can be something that you might use yourself, or something that you would want to see in a VR meeting space. TL;DR: Use your favorite modeling tools to create a low poly (<10k quads) VR Chat avatar, upload it to Sketchfab, and tag it #VRChatChallenge. Use your favorite software and workflow to model a low poly VR Chat avatar. 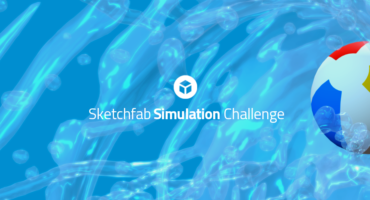 Once you’ve created your avatar, upload it to Sketchfab, tag it #VRChatChallenge. Contestants’ models must be uploaded to Sketchfab and tagged #VRChatChallenge to be considered. The winner will be contacted by Friday, November 9. A 10K challenge days before I (prolly) gain my 10K’th follower?! Now I HAVE to enter! Can’t find the forum thread yet, am I missing something?